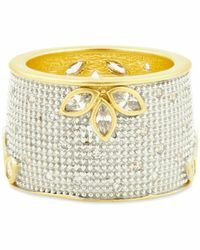 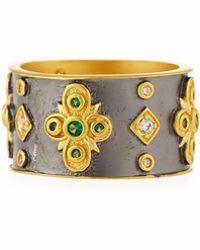 Inspired by 20s glamour and her New York City upbringing, Freida Rothman launched her namesake jewellery line in 2010. 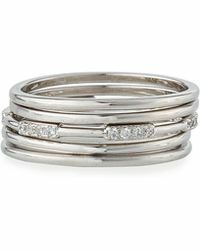 Designed with the modern woman in mind, the collections offer a contemporary take on vintage designs with unconventional finishes and intricate detailing. 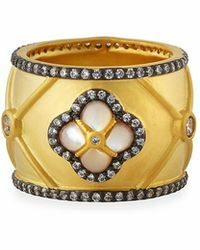 Inject timeless opulence into your repertoire with Freida Rothman rings. 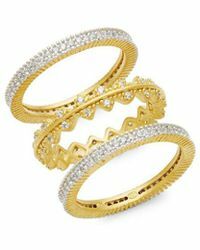 From studded cocktail designs to stackable sets and eternity bands, Freida Rothman rings will update any ensemble to glittering heights. 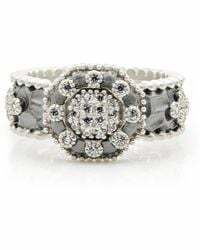 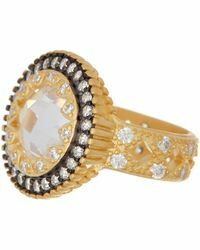 Showing 951 results for "Women's Freida Rothman Rings"